Highrisk Life Insurance Agency specializes in Life Insurance Approval with Ileitis! Have you been declined for life insurance due to Ileitis? The good news is there is hope. Indeed, we help individuals of all ages and all sorts of medical conditions at HighRiskLifeInsuranceAgency.com. Can People Who Have Ileitis Be Approved for Life Insurance? Yes, most individuals with Ileitis will be able to qualify for traditional life insurance, the type of insurance which requires a medical exam. Best Case Scenario – Ileitis that is detected early and the causative factors identified has a good chance of decreasing if not eliminating the symptoms of abdominal pain and chronic diarrhea. Most of these cases have a “Standard” rating. For those cases, however, where there are frequent symptoms of fever or increased WBC, but no complications such as severe swelling or intestinal obstruction, may be rated at “Mild Substandard.” Click here for quote at “Standard” or “Mild Substandard”. 1. How many years since you were diagnosed with Ileitis? Early detection of Ileitis and symptoms of chronic diarrhea controlled, has a good chance of getting a “Standard” rating. Poor control of the condition that results to intestinal adhesion or obstruction may receive a “Mild Substandard” or “Medium Substandard” rating. 2. Are you aware of the factors that trigger the symptoms of your Ileitis? Knowledge of the trigger factors of diarrhea and RLQ pain means a proactive participation on your end to want to eliminate the symptoms. Avoidance of the trigger factors eliminates the risk of having complications such as fever and intestinal obstruction that may get you a “Standard” or “Mild Substandard” rating. 3. Do you have a history of surgery to remove any bowel obstruction? 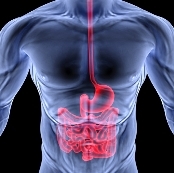 History of bowel surgery may be a sign of a long term or uncontrolled case of Ileitis. Good prognosis after the surgery may get you a “Mild Substandard” or “Medium Substandard” rating. 4. Are you taking medications for your Ileitis? 5. Have you experienced severe symptoms of your Ileitis for the last six months? Flare symptoms of severe RLQ pain and excessive diarrhea within the last six months may be a sign of an underlying medical condition that may require further assessment and evaluation. 6. Have you had any endoscopic tests in the past six months? Recent endoscopic tests like colonoscopy will show the condition of your ileum and colon. This can be the best way to assess your health class depending on whether complications of severe swelling, adhesion or obstruction are present or not. Ileitis is a condition of chronic inflammation of the part of the small intestine called ileum, which is also referred to as ileocolitis. It is considered a type of Crohn’s disease that only affects the area of the ileum where the last action to salvage nutrients, fluids and electrolytes takes place before the final colon emptying. Common symptoms of ileitis include chronic history of diarrhea, abdominal pain at right lower quadrant (RLQ), low grade fever, increased blood WBC and sometimes a palpable mass in the RLQ (which is due to the swollen colon).